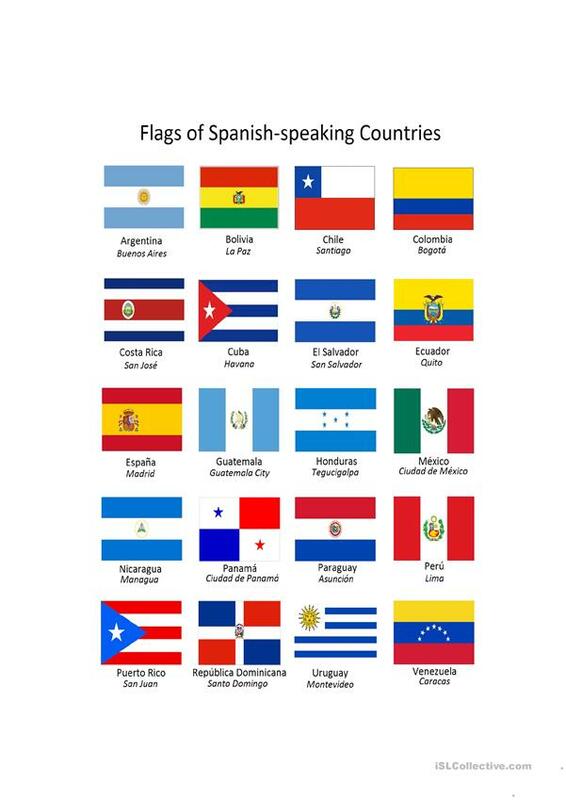 In preparation for teaching Spanish at a middle-school level, I spent a few hours tonight making a poster of Spanish-speaking countries that can be printed out on an 8.5x11 sheet of paper. I made it and laminated it-- which I'm hoping will come in handy for some flag-related projects or activities. Enjoy! This downloadable printable is recommended for business/professional students, high school students, elementary school students, adults and students with special educational needs, learning difficulties, e.g. dyslexia at Elementary (A1), Pre-intermediate (A2), Intermediate (B1), Upper-intermediate (B2), Advanced (C1) and Proficient (C2) level. It focuses on the topic and words of Culture, intercultural communication, cross-cultural communication. Hi! I'm Kaitlin. I recently lived in Spain for a little over a year, where I taught English at a little academy. I used ISL collective a TON while I was there! Now that I'm back in the US, I just got a job teaching Spanish (finally able to use my BA in Spanish Language Education). I'm excited to give back to the community, so I hope to upload everything I've created over the first few years of teaching!